A balanced diet plays a vital role so you’ll have to pay attention to the quality of the fodder. The animals should be provided with a suitable food so you’ll have to make sure that the diet contains a lot of essential nutrients – hay, grains, oilseed, calcium, phosphorus, magnesium and vitamins (C, D, E and K). If you want to keep good health, you’ll have in mind some requirements. 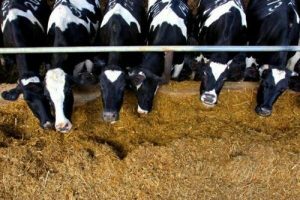 The first condition is to feed animals with fodder that shouldn’t include any additives or chemical substances which can affect the development of the animals. The second condition is to give suitable rations to prevent starvation in some cases and obesity in other situations. Moreover, lactation and gestation periods need special attention so they’ll need more nutrients than in other seasons. Fodder has a high digestibility, so the animals will benefit from this sources of nourishment. A quality fodder will help improve the health of the animals. In this way, the quality of the meat, dairy and fibre will be enhanced. Furthermore, the occurrence of parasite infestation will be reduced. Also, the hydroponically grown fodder can improve the process of hydration due to its high moisture content. The health of hoofs will also be improved. Also known as the queen of forage crops, Alfalfa or Lucerne is a valued for its high nutritional quality and is an excellent source of vitamins and minerals, which are vital for the development of the sheep and cattle. The alfalfa fodder contains calcium, minerals and vitamins – B, C, D, E, K and offers a lot of benefits. It provides energy and is an excellent source of amino acids and increases the longevity of the animals. Another advantage which determines people to cultivate Alfalfa is that this vegetable doesn’t need fertiliser, herbicides or pesticides. It’s ideal for areas where is a dry climate because it claims low water consumption. By using fodder without herbicides or pesticides, the shepherds can avoid potential health problems. By providing a fodder-based diet, you will optimise the quality of the meat of sheep and cattle and increase the dairy products. Sheep convert protein from the food into protein in their bodies to such an extent as it is needed. In general, any excess of this essential nutrients must be transformed into energy. The Alfalfa fodder, for example, contains 18% proteins. Calcium and phosphorus are the primary minerals which should be provided with the feed sheep concerning quantity. In general, legumes are very high in calcium comparative to phosphorus. Shepherds should calculate the proper rations of fodder to provide the nutrients needed for sheep and cattle.